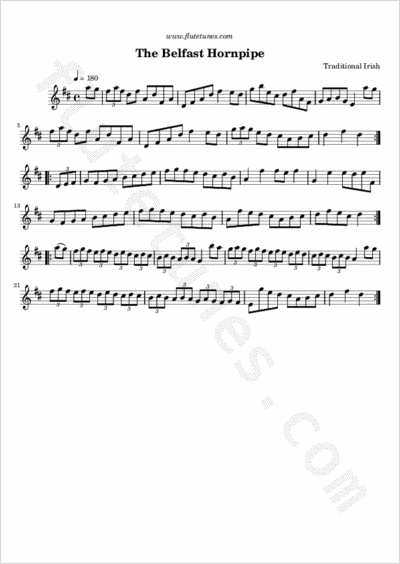 For all you fast tune lovers, here's a new Irish hornpipe! You'll certainly like the final run down in triplets; if you manage to play it correctly, the result will be pretty funny. If you find this tune difficult to play, simply slow down and concentrate on avoiding mistakes. Don't get discouraged! It is just a matter of time and patience.